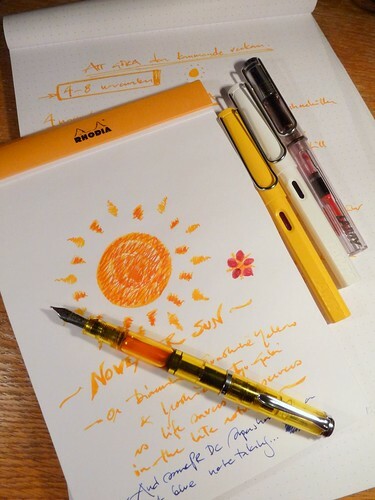 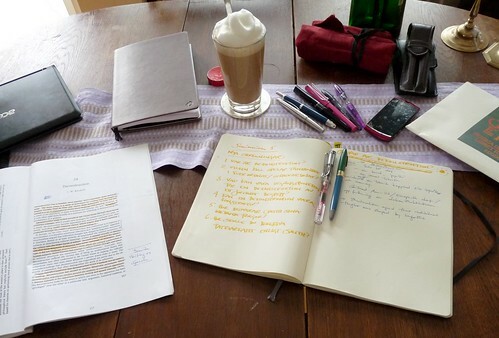 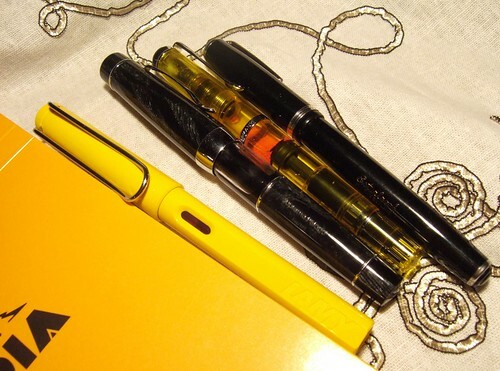 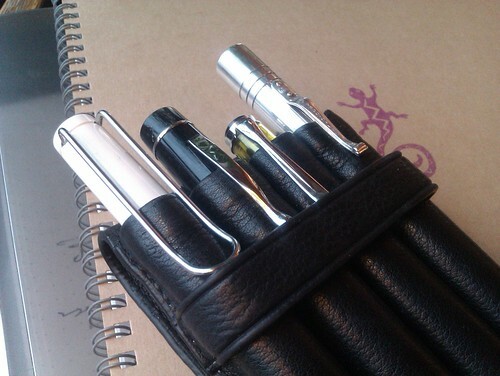 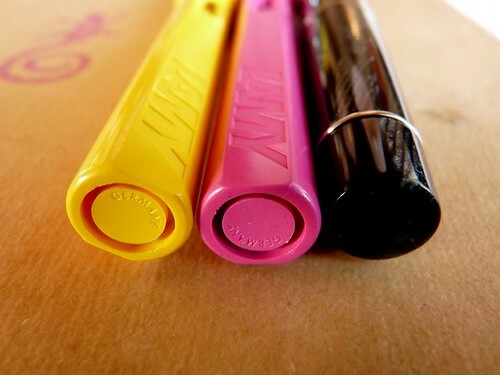 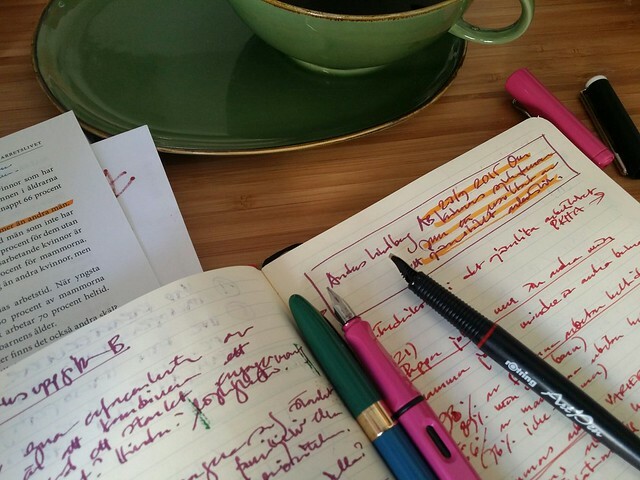 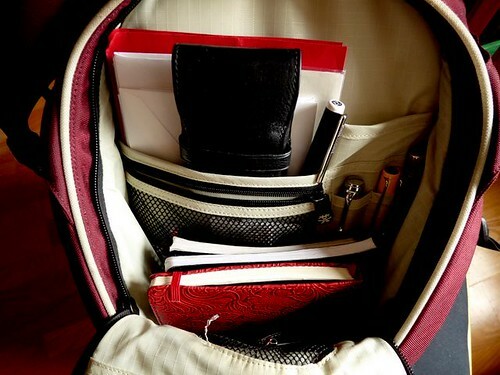 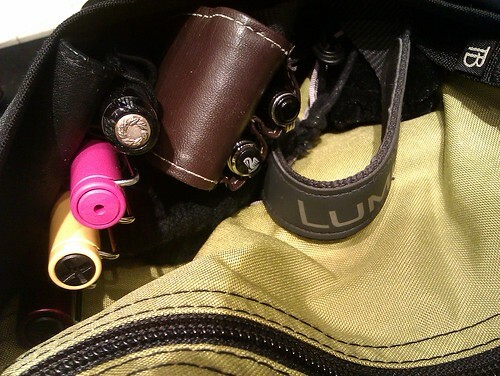 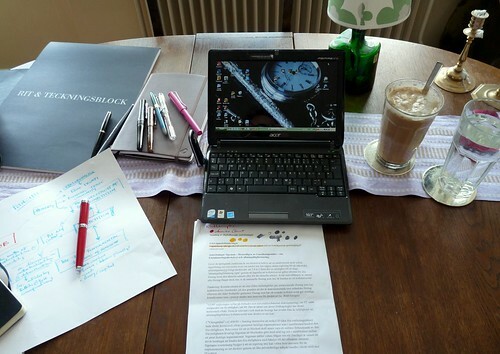 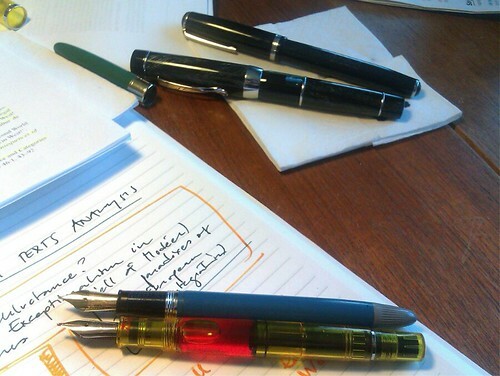 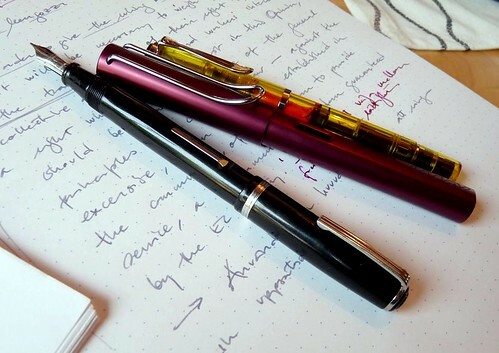 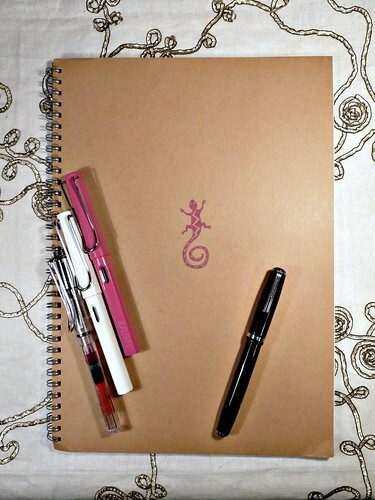 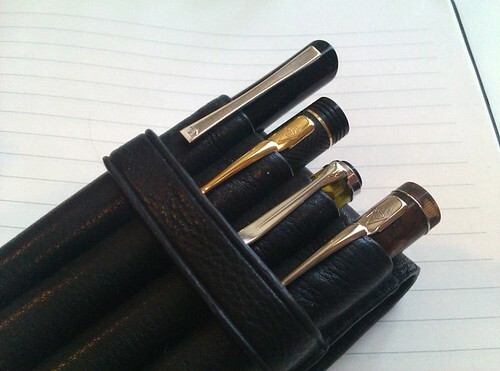 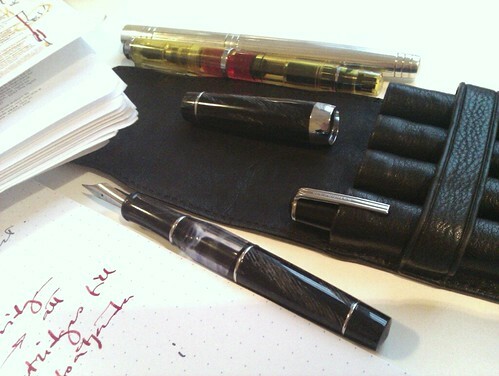 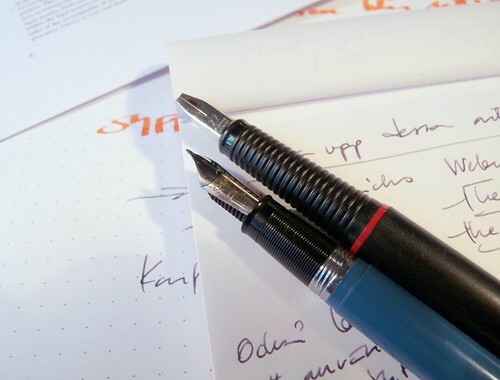 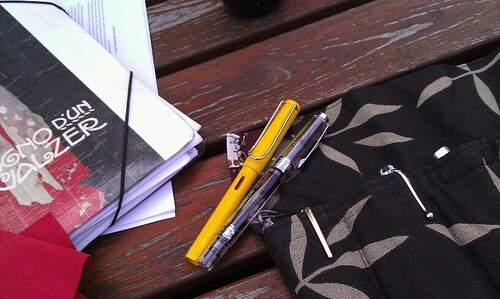 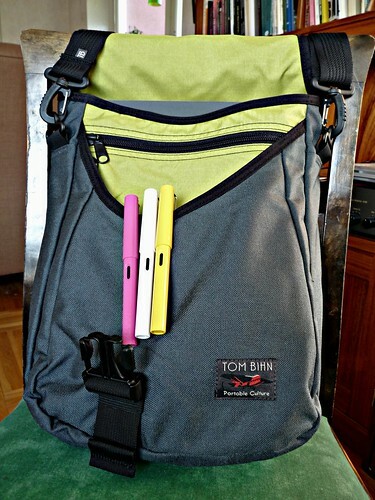 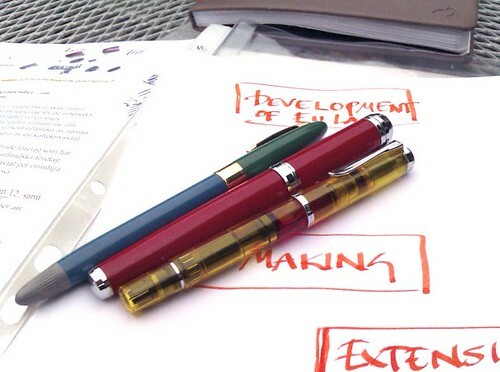 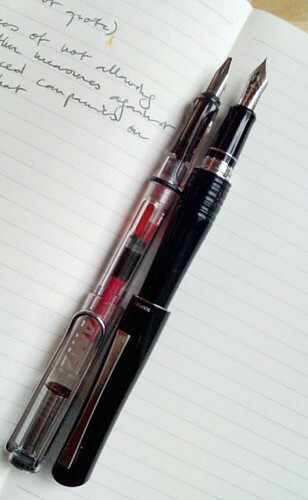 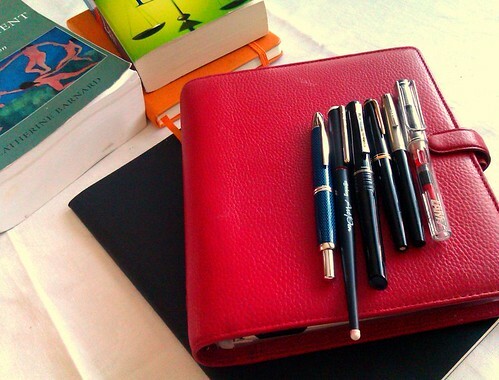 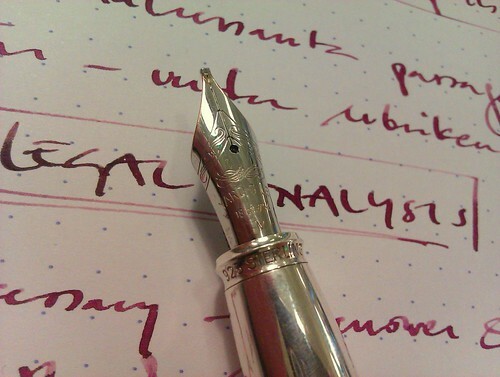 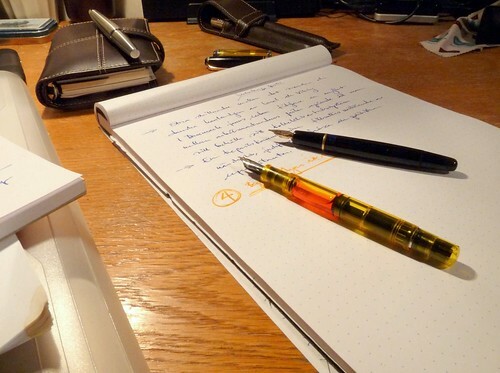 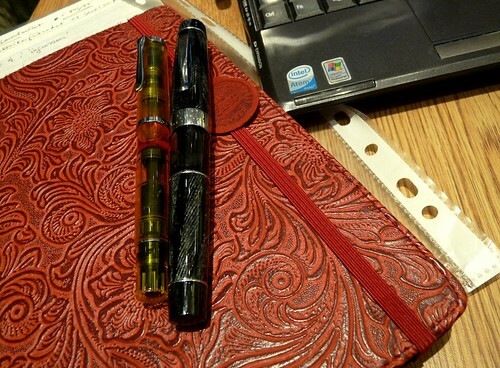 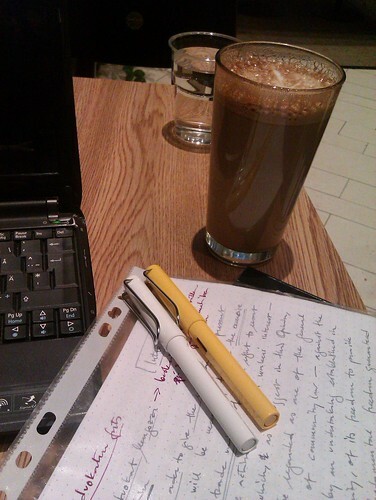 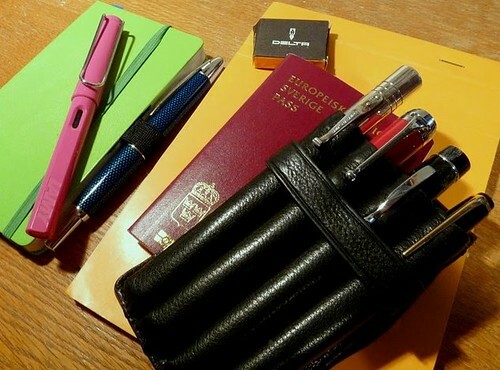 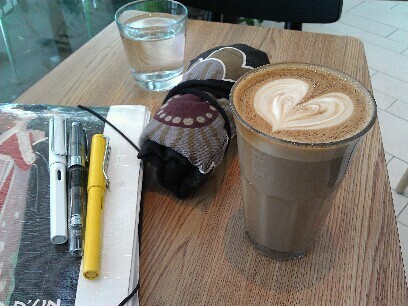 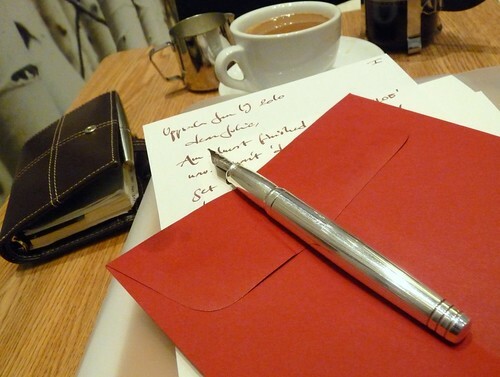 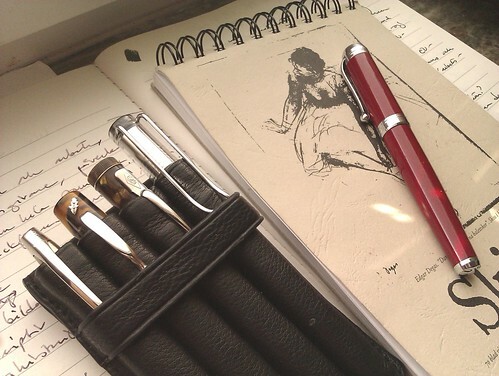 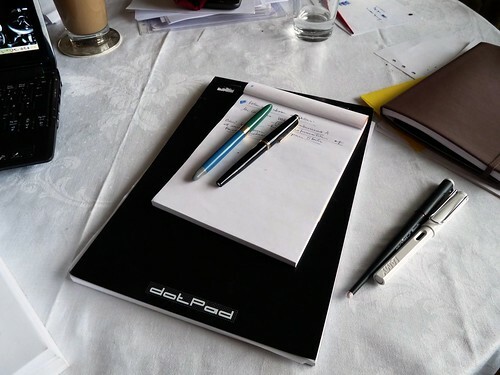 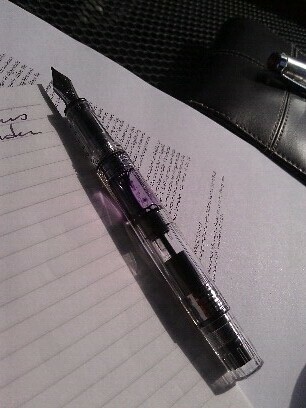 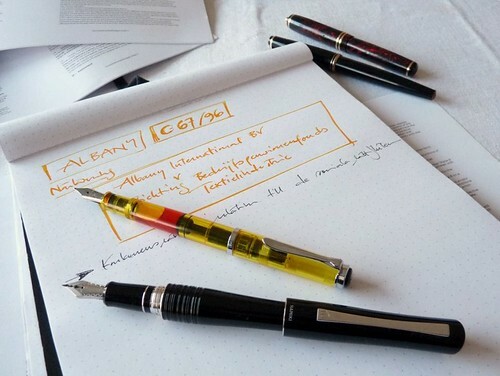 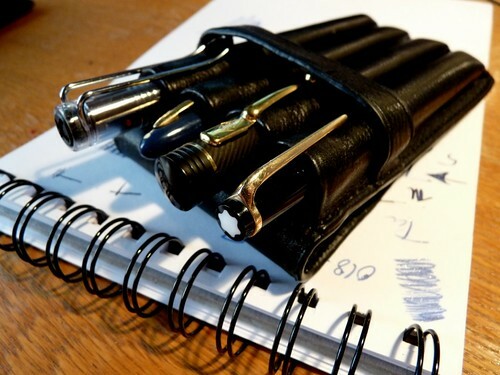 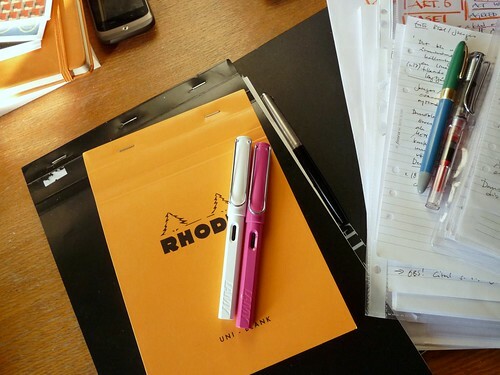 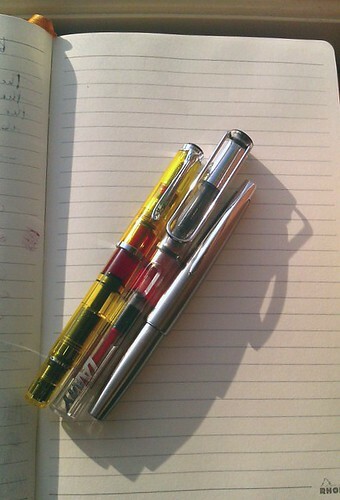 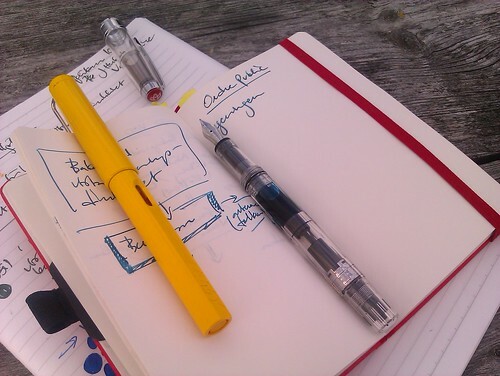 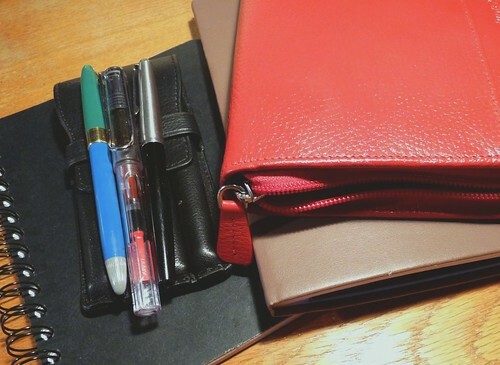 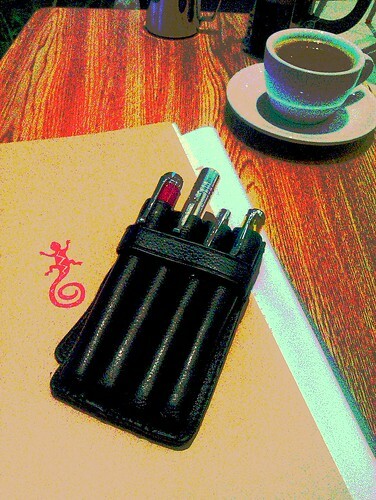 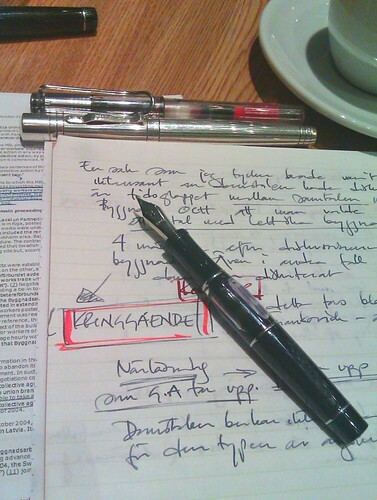 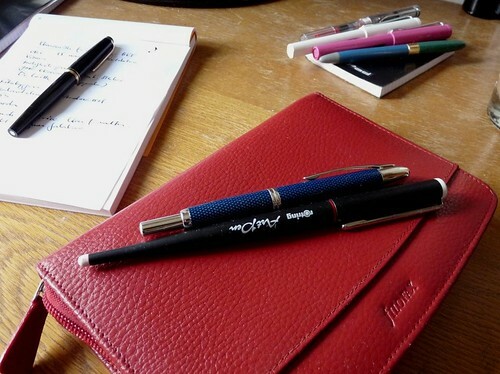 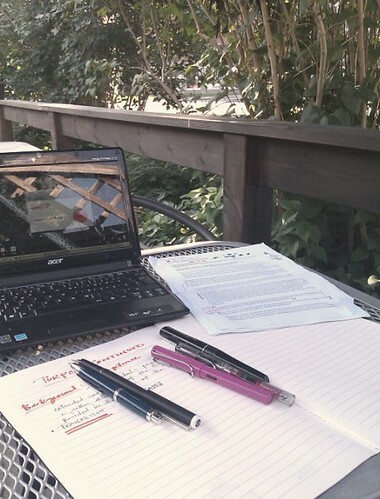 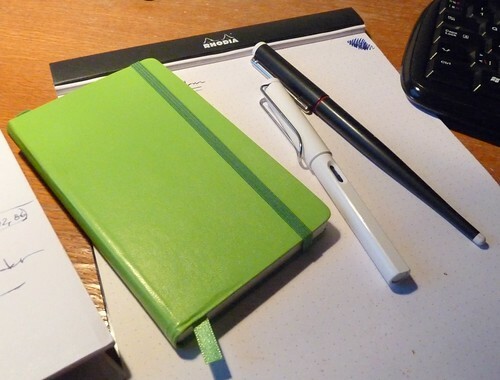 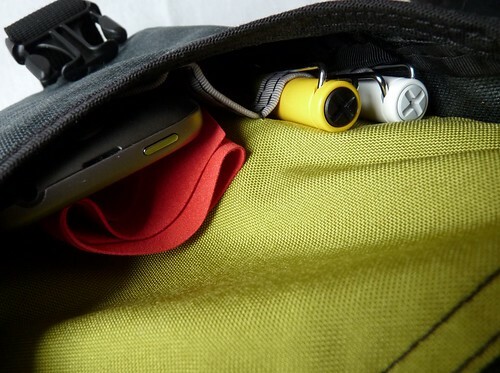 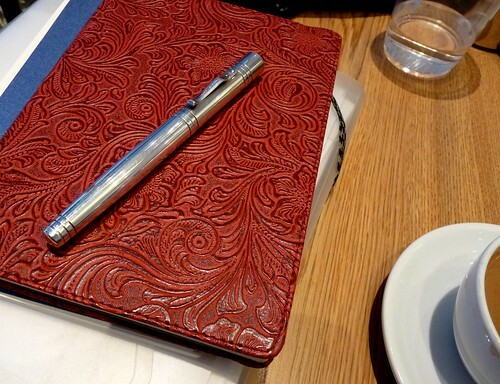 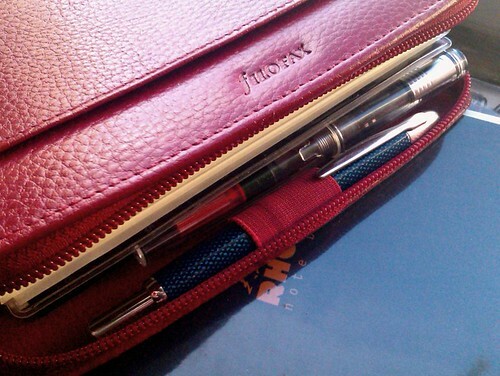 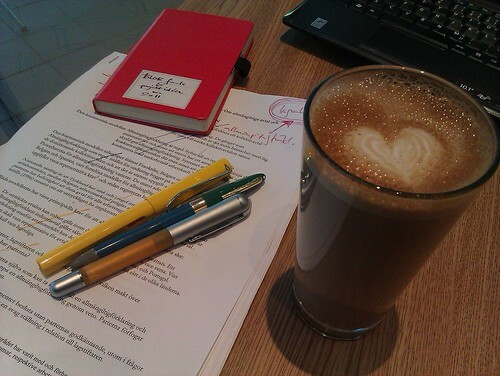 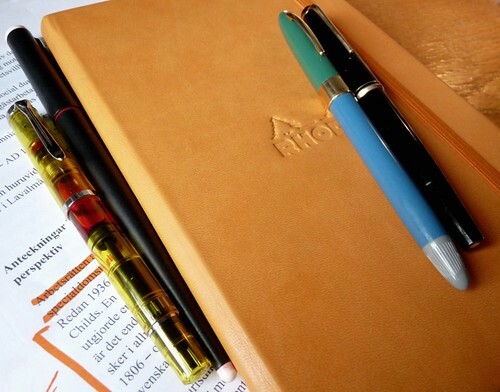 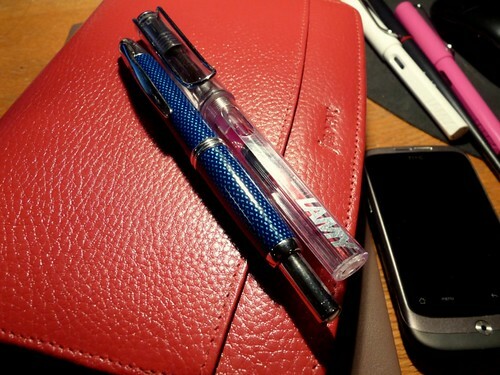 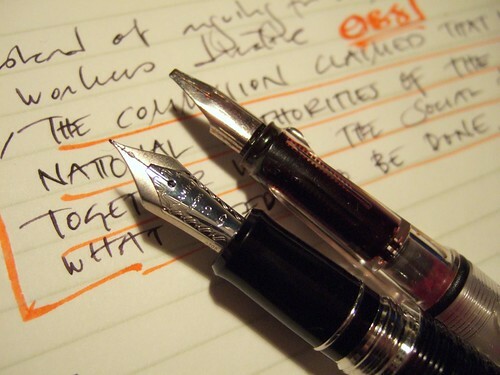 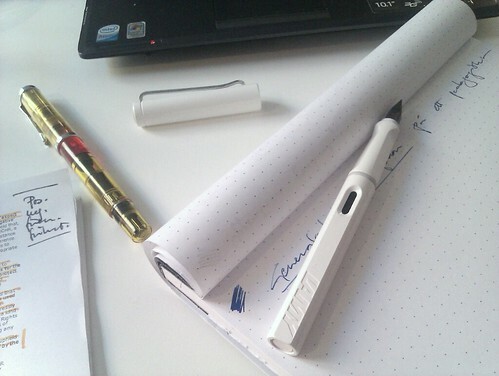 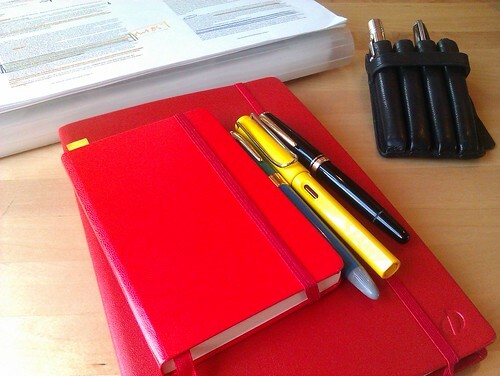 There is a photo group at flickr – #dailyarsenal – where people post snaps on the pens/paper/gear they use. 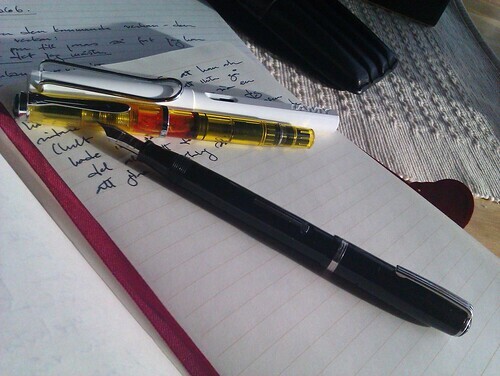 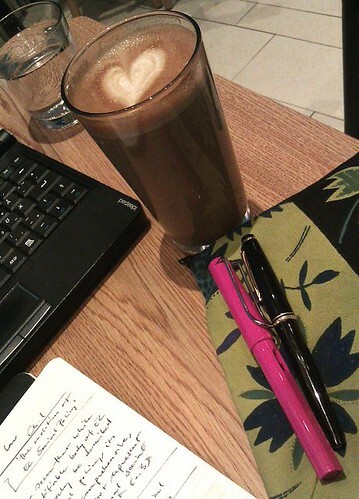 I like the idea of unpretentious everyday snaps of the current work tools. 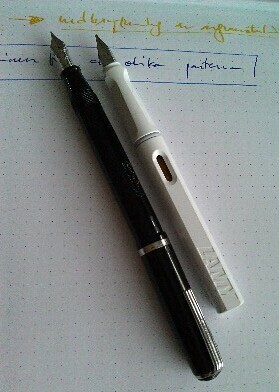 Since I got an android phone it is also very easy to post directly to flickr, so most shots are taken with my camera phone. 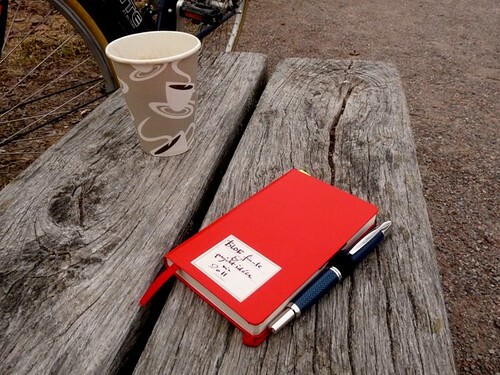 Easy, simple, imperfect – just as life. 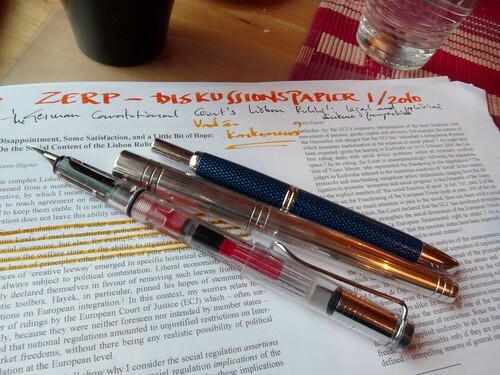 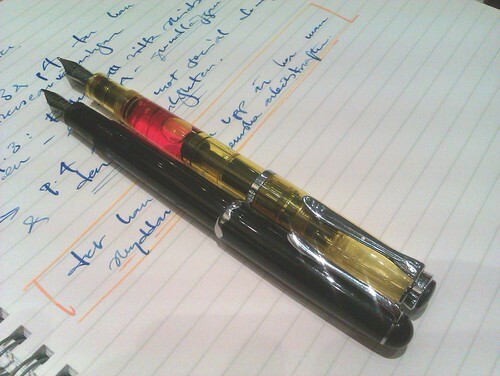 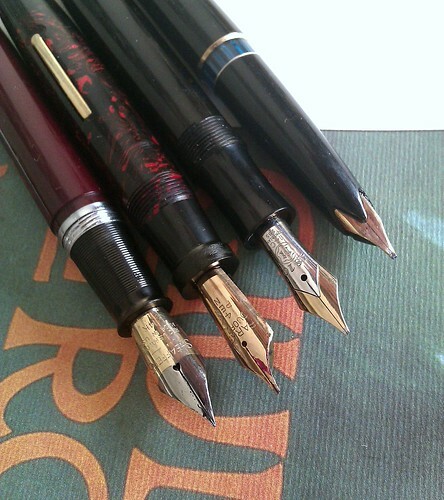 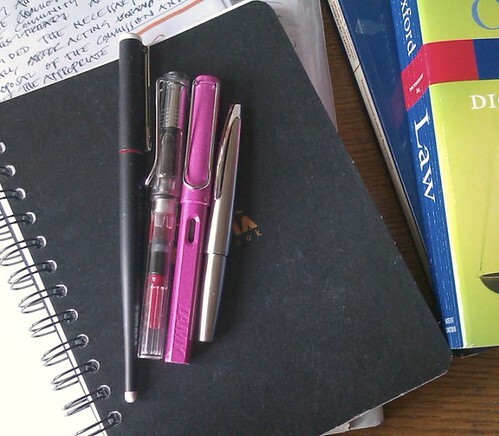 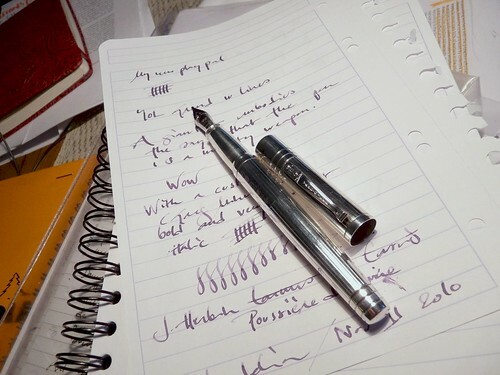 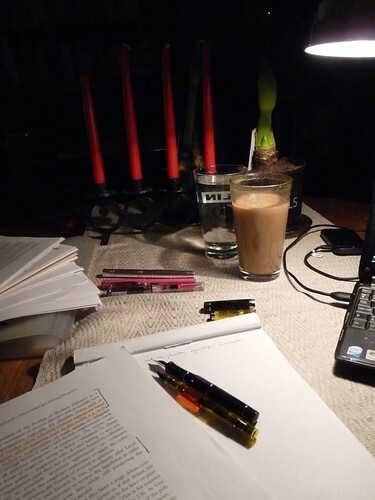 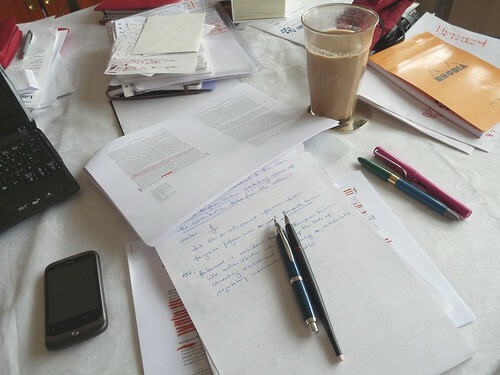 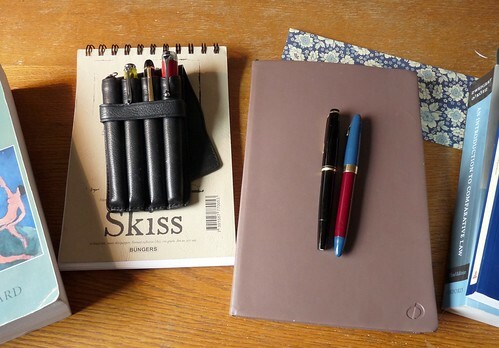 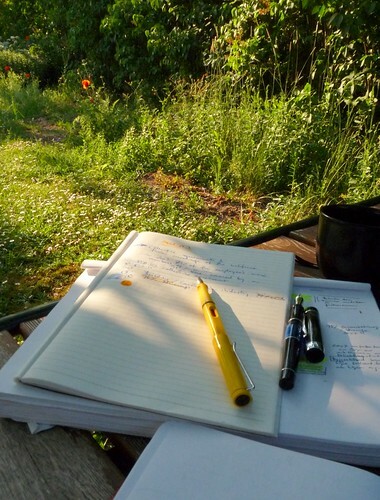 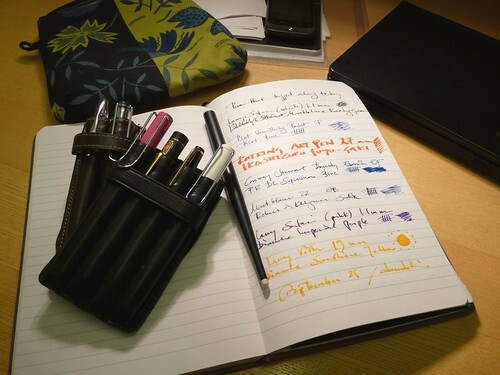 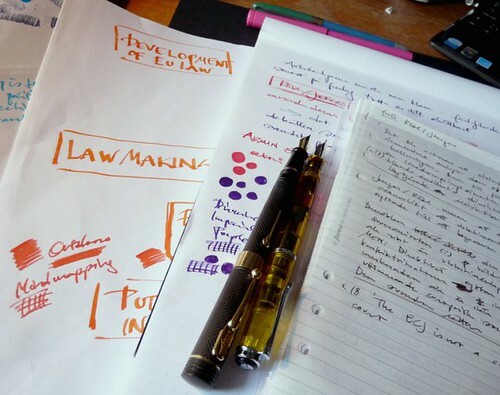 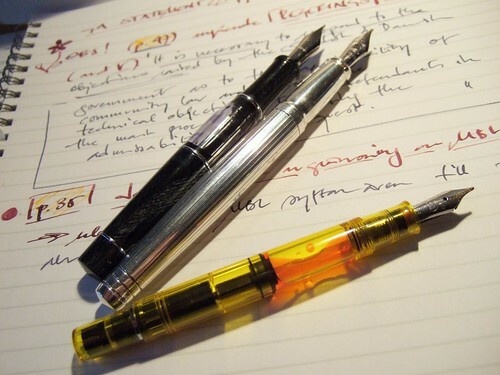 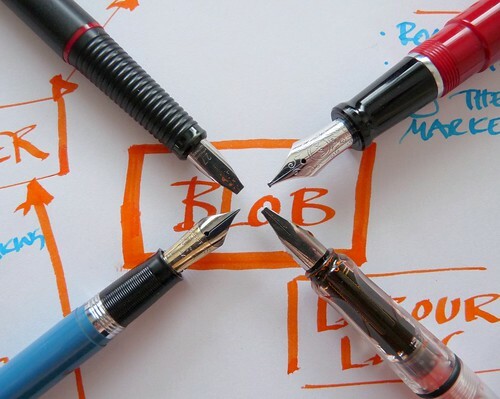 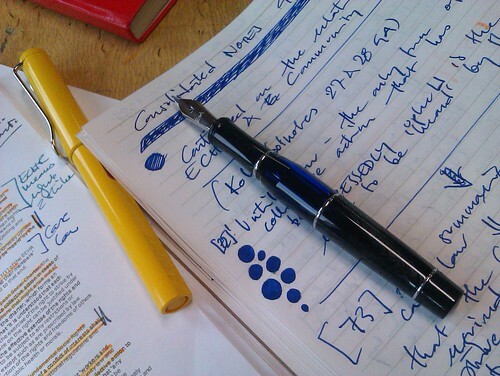 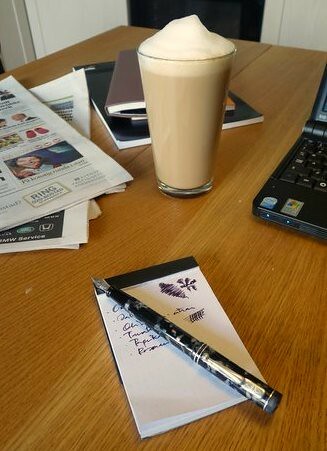 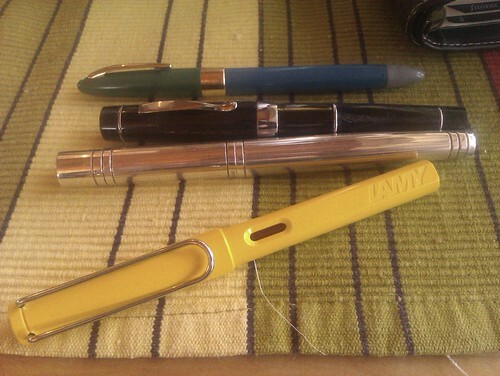 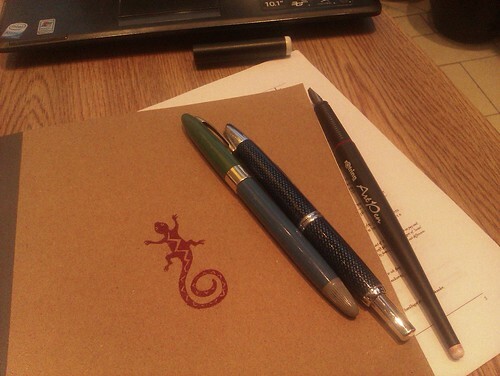 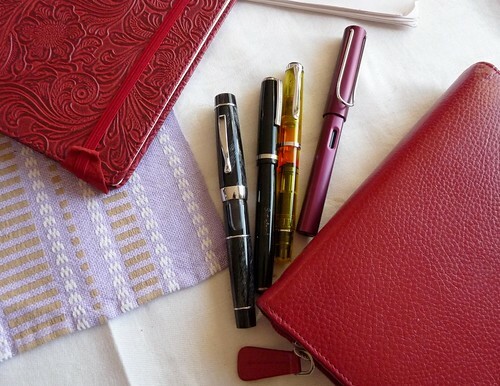 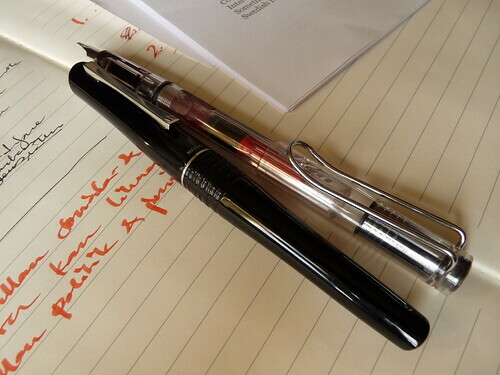 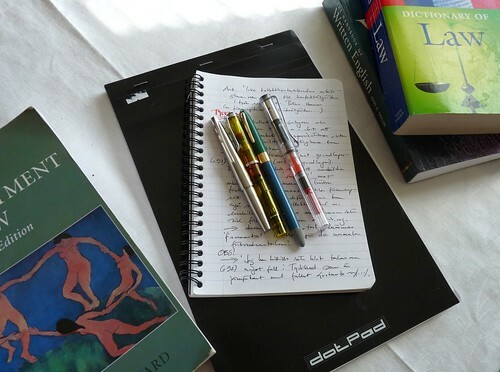 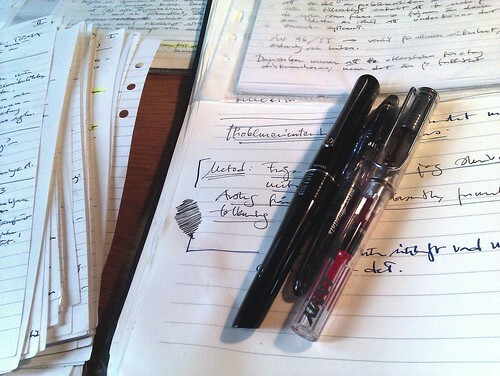 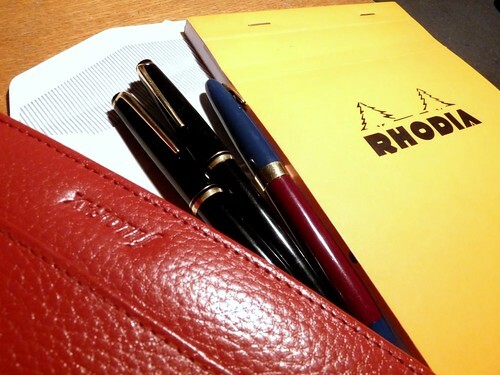 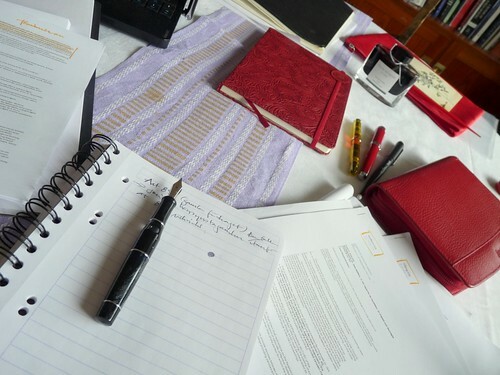 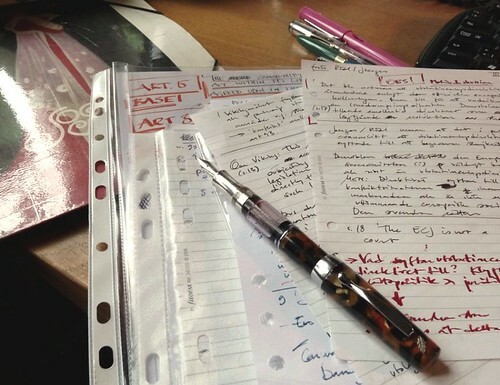 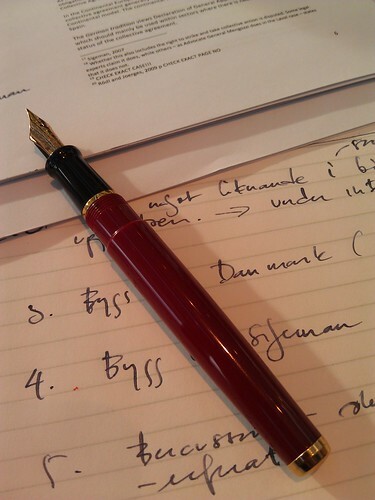 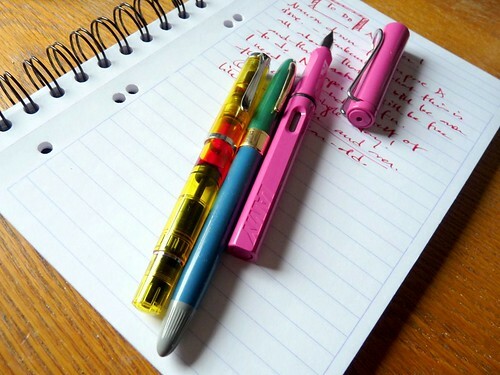 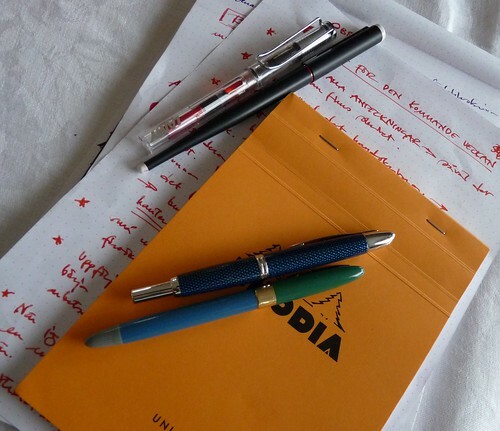 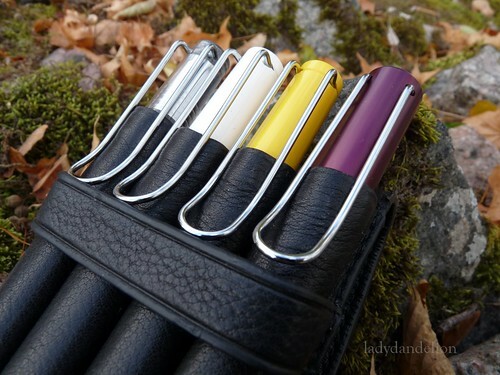 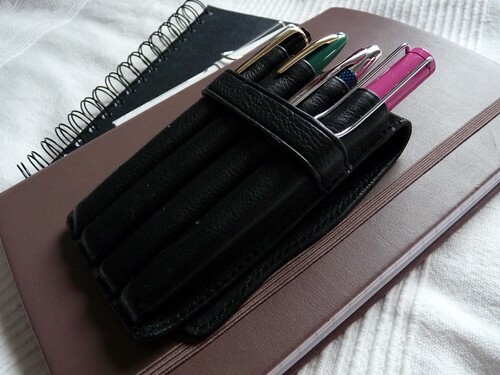 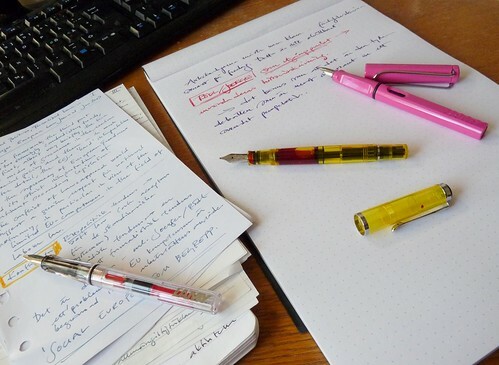 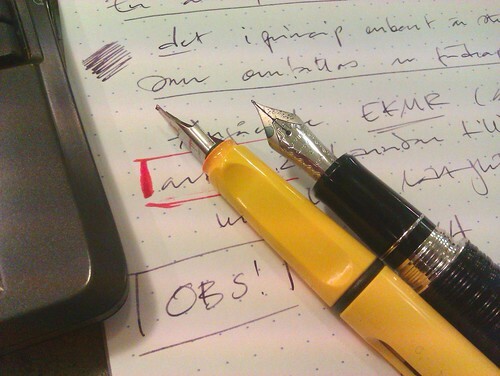 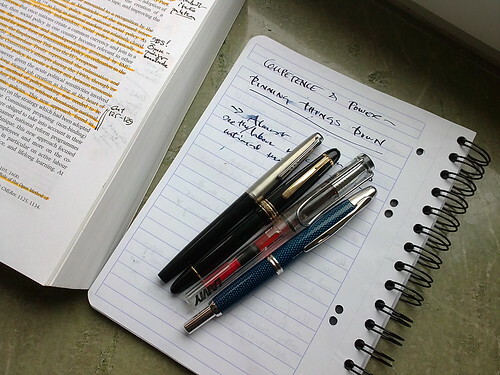 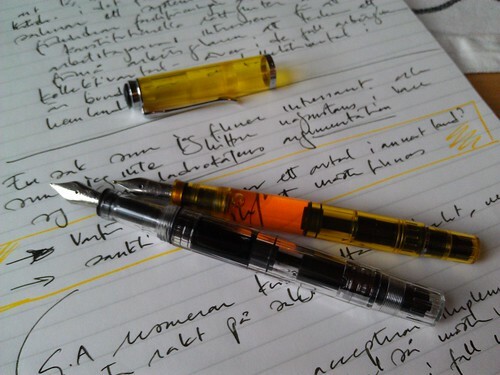 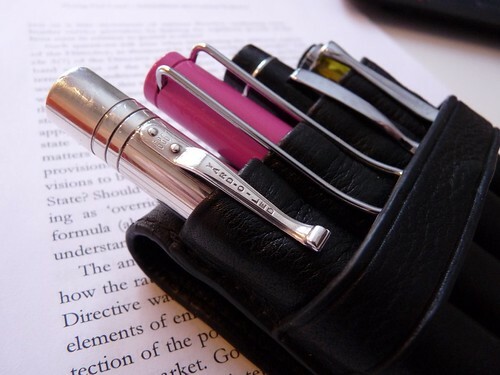 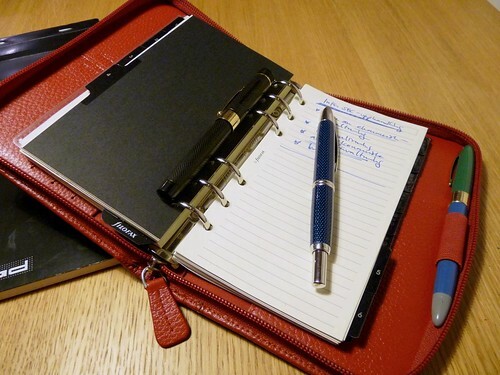 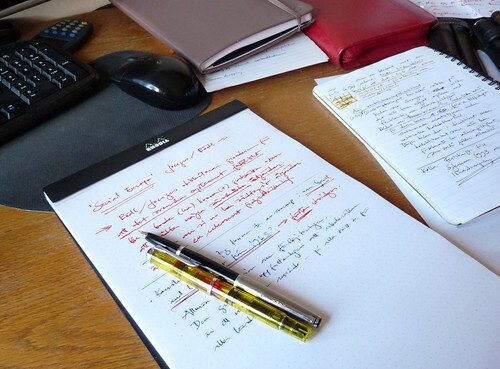 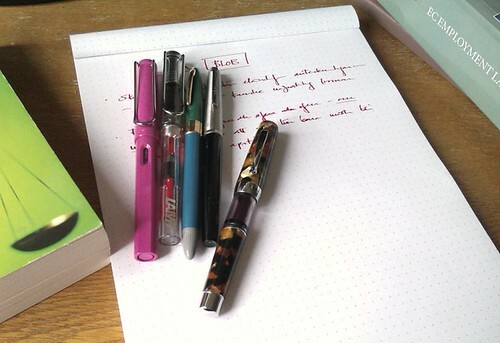 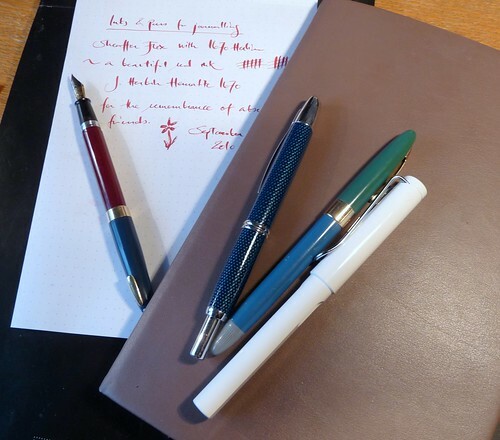 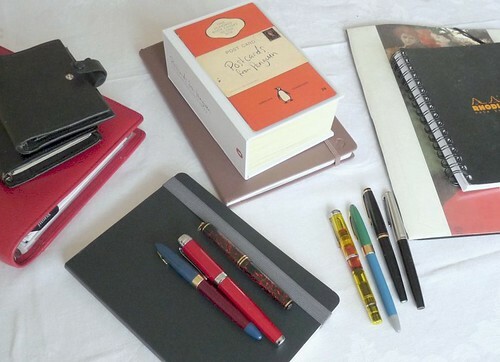 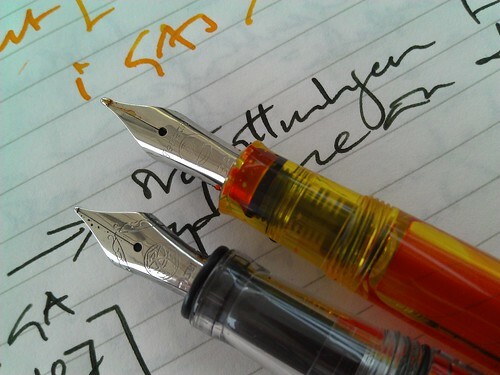 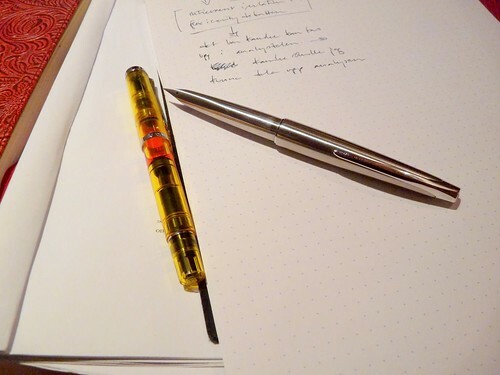 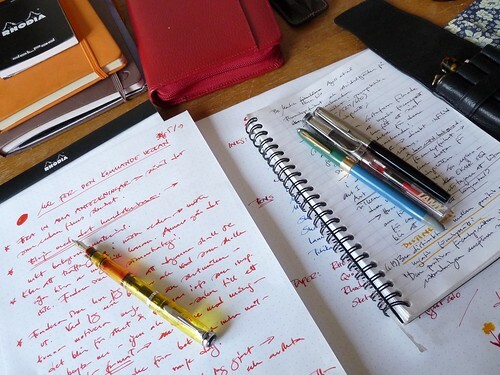 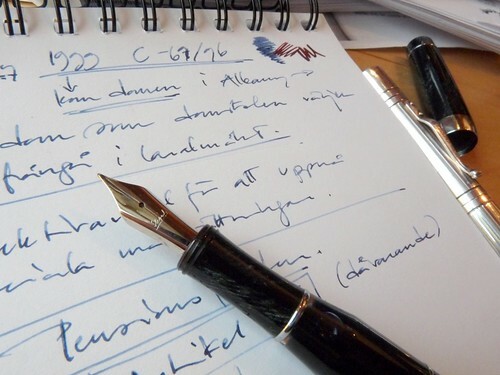 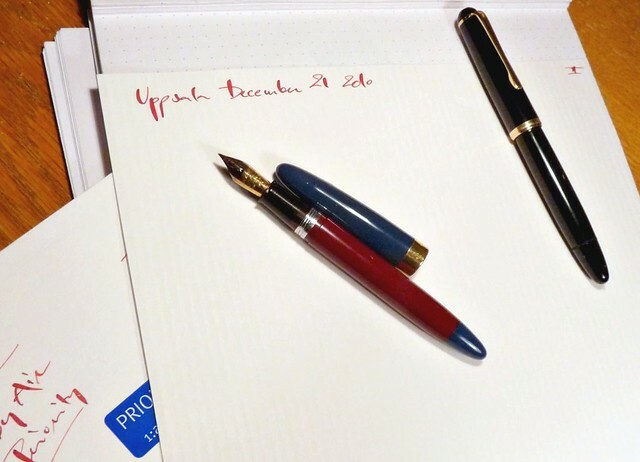 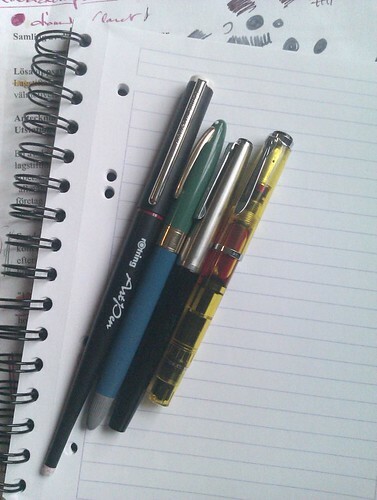 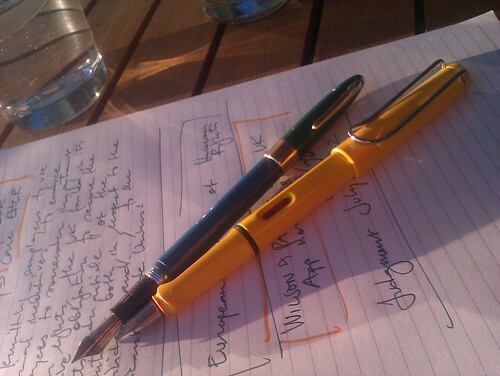 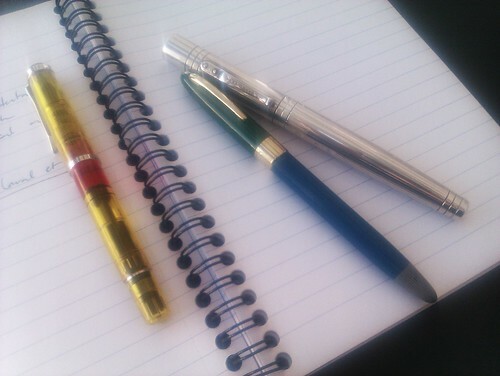 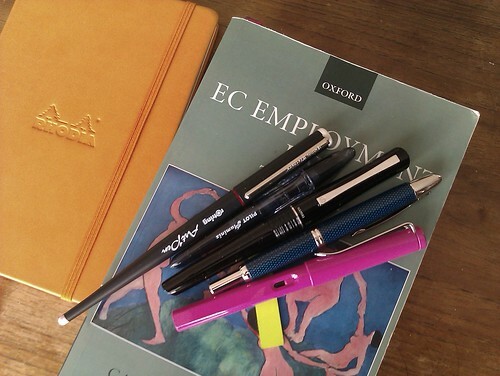 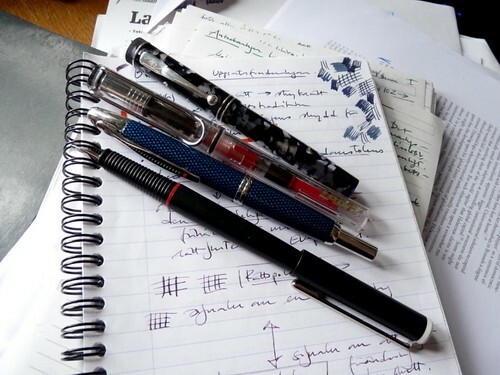 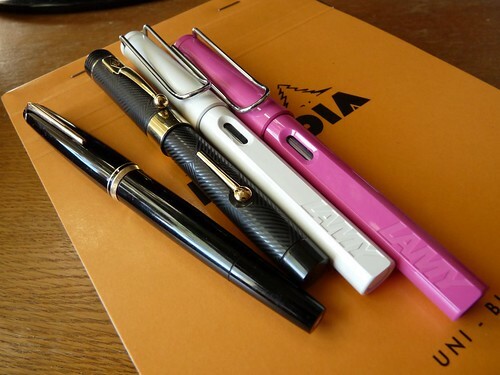 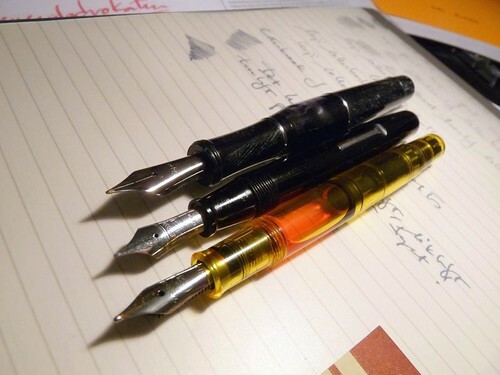 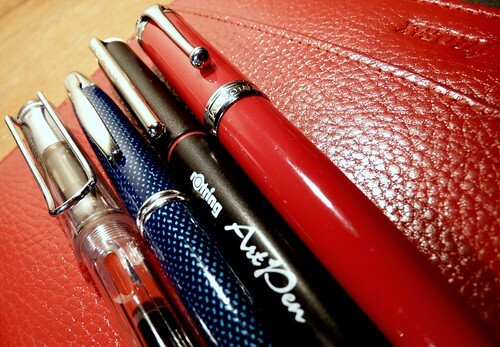 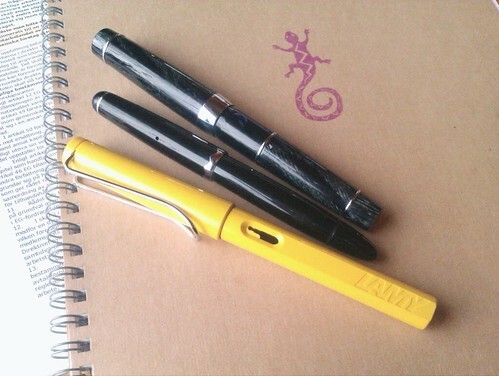 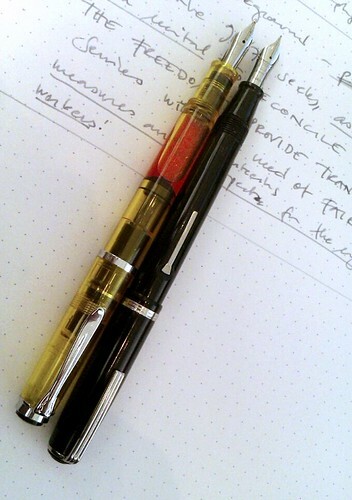 Since I’m in the middle-end of finishing a big paper I have lately taken a photo of the current pens in use almost every day and thought I’d collect them all here at the blog as well. 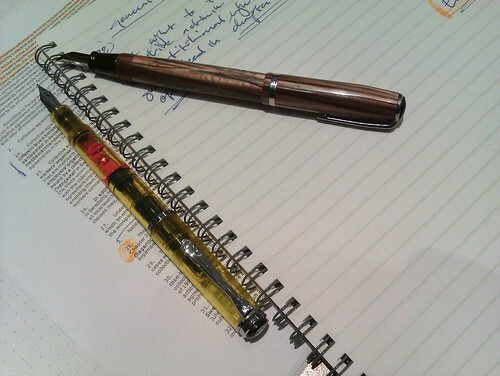 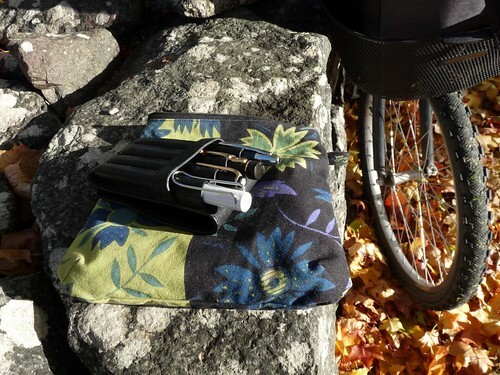 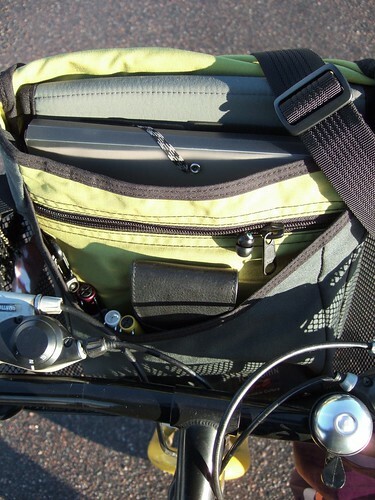 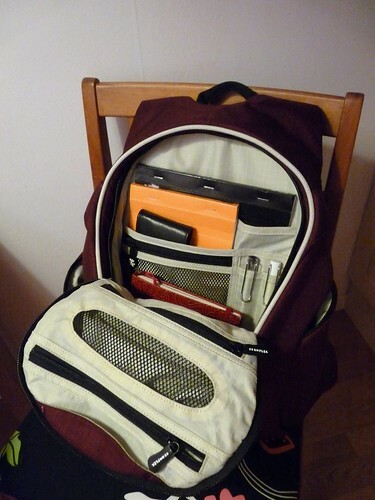 If you want to see my photos with descriptions and all you can visit my #dailyarsenal gallery here. 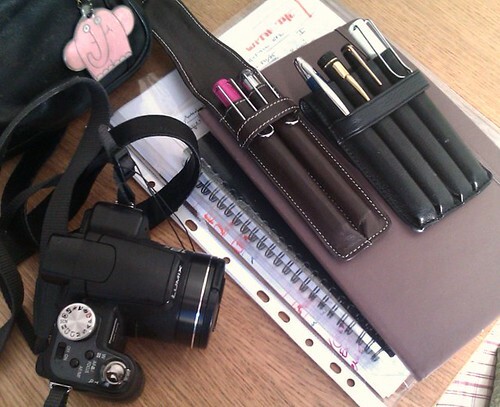 You find the group here with loads of photos by plenty of people here. 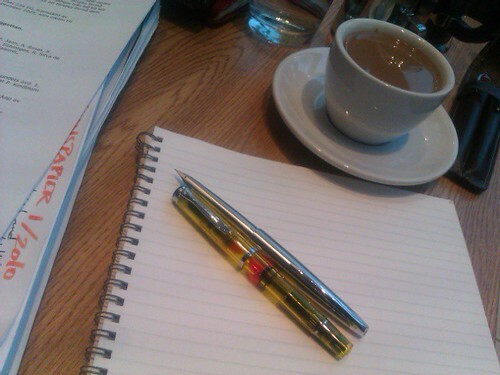 October 3 2015 – more than four years since I last posted a daily arsenal photo. 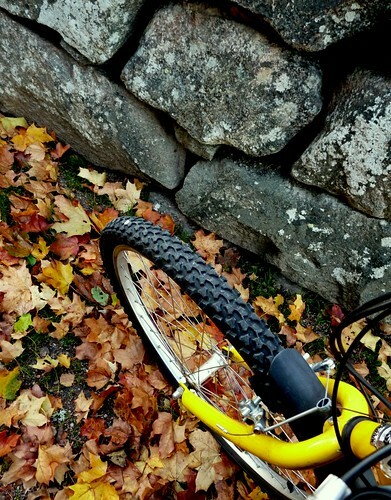 very cool stream of photos. 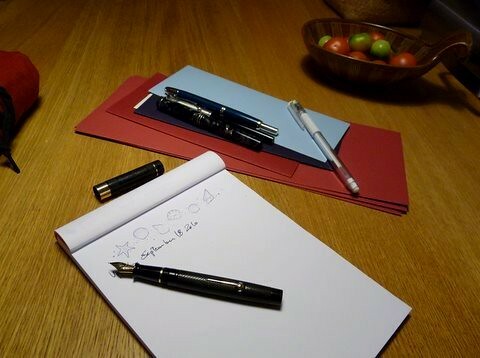 what is the name of the pen on 12 and 13 November? 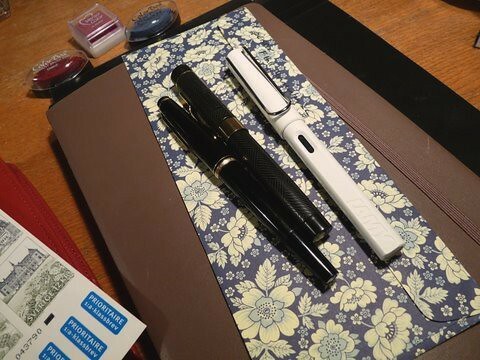 Very cool stream. 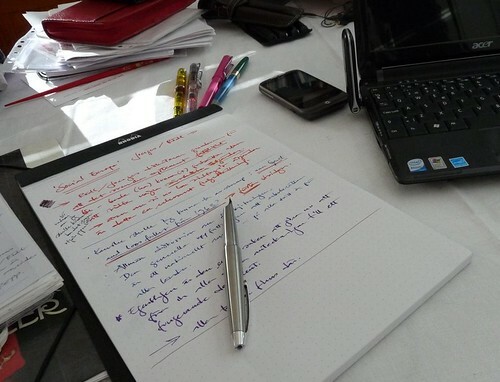 What is the black pen on 12 and 13 November? 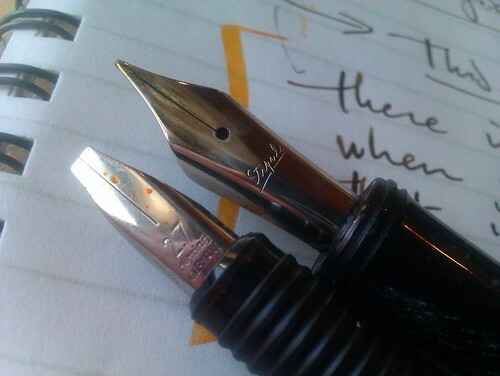 I drop by the flickr group every once in a while. 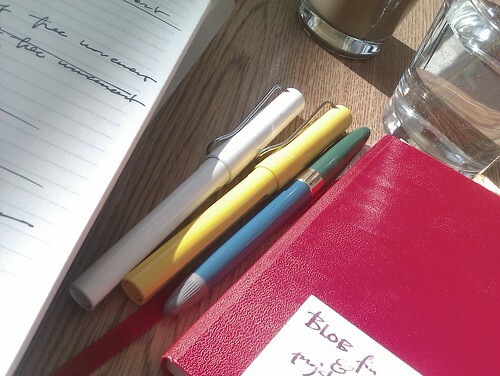 But I love the idea of having this on your blog!! 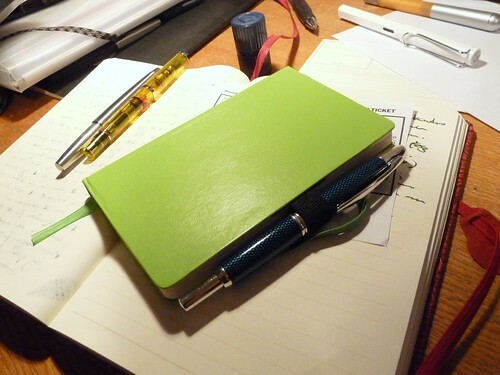 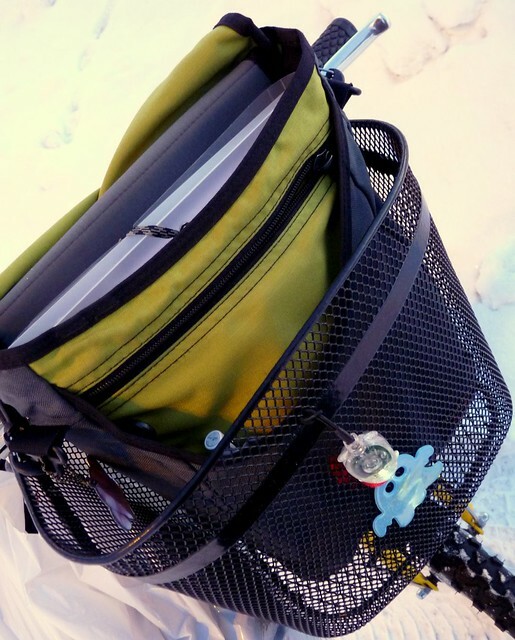 Great photos – they make me green with envy!